Ladakh a mountainous region located in the state of Jammu and Kashmir is a highly sought after destination for tourists in India and abroad. Famously known as the cold desert it share a international boundary with Tibet. However due to its geographical and climatic conditions one must take certain precautions while visiting the region. To know more how stay tuned, ! Firstly keep in mind this is a politically very sensitive region in northern India and you will need permits to visit various places in the place. The permotes are available with the local authorities. 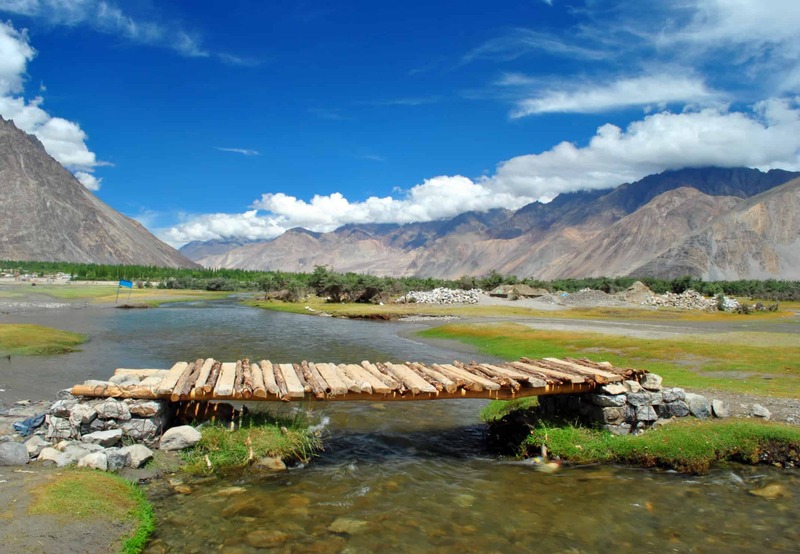 One of the major attractions in Ladakh is trekking. Its normally very cold in Ladakh even colder in winter remember those woollens. Its high altitude might cause breathing problems so acclimatization with the weather is very important for the tourists. All are advised to keep drinking water, dehydration may cause serious problems. Altitude mountain sickness (AMS) is quiet common here. First aid box is also a must having medicines like aspirin,diamox,dexamethasone to combat these problems. During the trip remember your moral obligations towards the nature. Use paper in place of plastics and refrain from littering disposables everywhere. Aslo avoid creating noise pollution and disturbing the peace of the surroundings. Ladakh is a politically sensitive and militarised area though open to tourists. Shutterbags and drone pilots keep an eye for sign boards which will keep you off trouble. While in Ladakh carry adequate Indian currency as no shops accept credit or debit cards. The last ATM will be in Manali after which you will see them in Leh market.The best option is to go for BSNL mobile connection as its the only one which will work. The network disappears in Srinagar Leh highway until Leh so keep copies of the numbers of your close ones in the tip.Also only Leh the capital of Ladakh is equipped with internet.Finish your internet requirements here before proceeding. The main hospital in Leh is SNM hospital which is well equipped to deal with any kind of emergencies. However on will find hospital at the district headquarters which are attended by registered medical professionals and well qualified doctors.Tourists can visit the army general hospital in Lehi Case of uncharted emergencies. The majority of the hotels here are family run business and offer personalized services. The best ones are hotel charu palace Leh and Grand Dragon. The deluxe hotels hare are hotel Shangri La, spik n span.